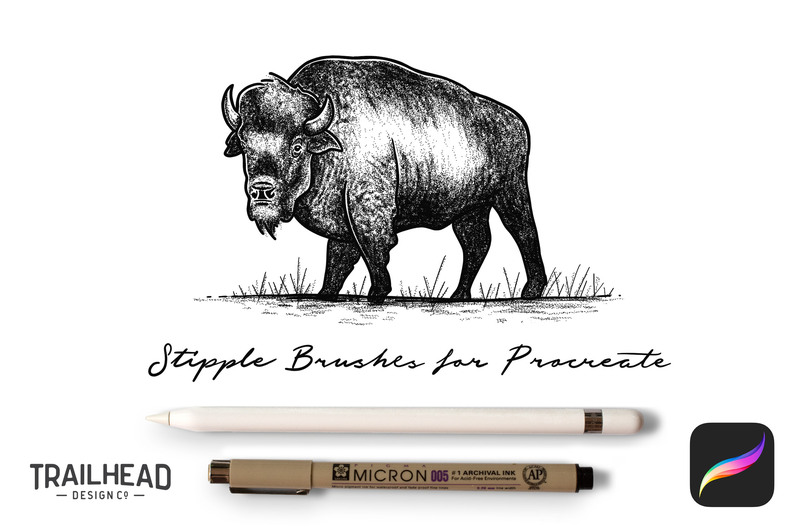 Procreate Stipple Brush Set	By: Trailhead Design Co. 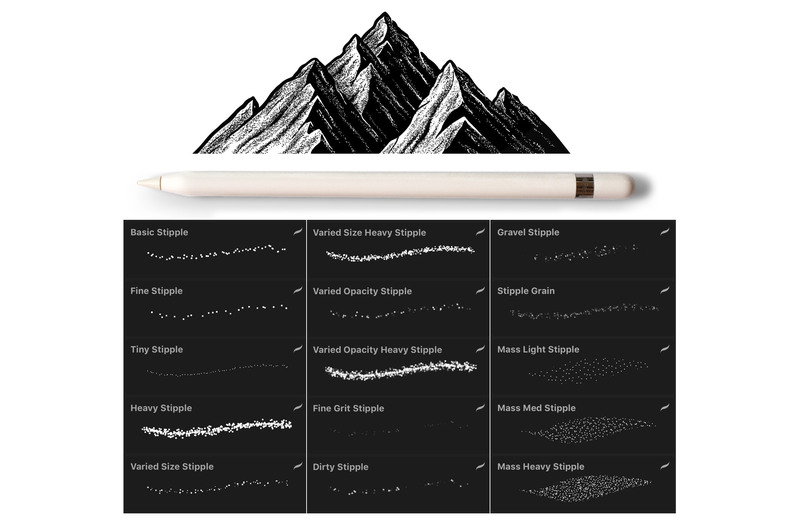 This set includes 15 versatile brushes… More stipple options than you’ll ever need. If you’ve ever shaded an illustration by creating tiny dots with a pen you know what a daunting task it can be, how long it can take and how tired your wrist can become. Not anymore… This brush set in combination with an iPad Pro and Procreate makes stipple shading fast, easy and fun. 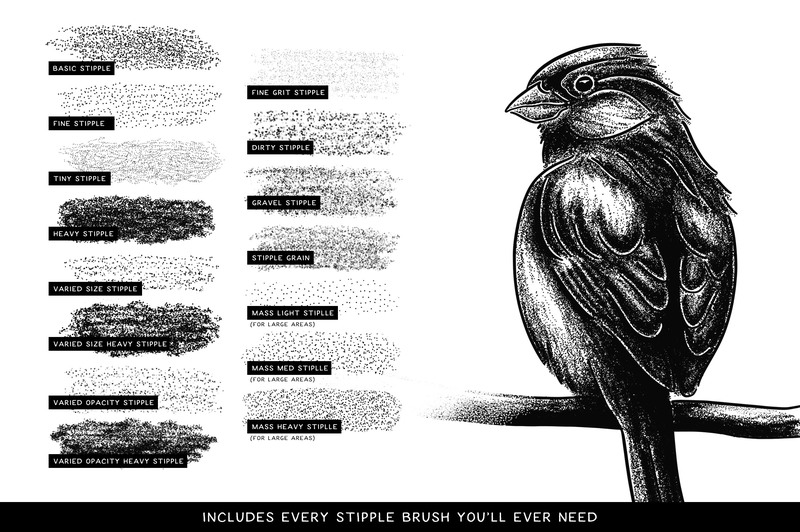 This set includes 15 versatile brushes… more stipple options than you’ll ever need. 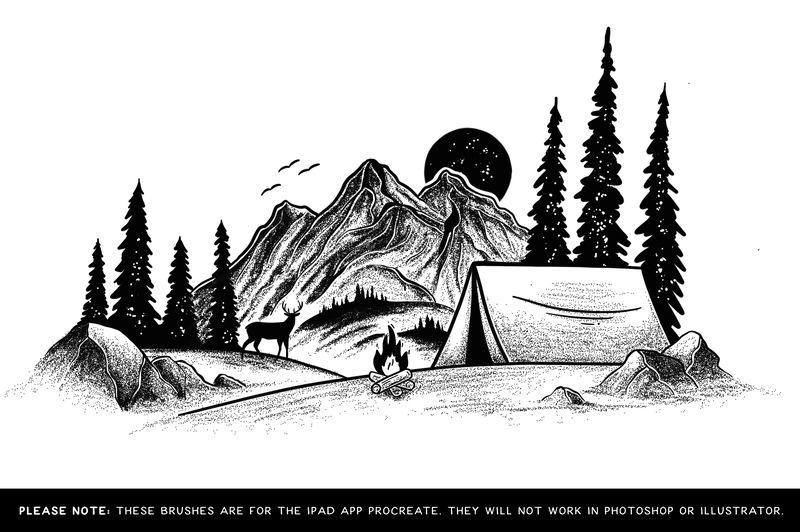 Please note this brush set is for the Ipad app Procreate. It will not work in Photoshop or Illustrator!